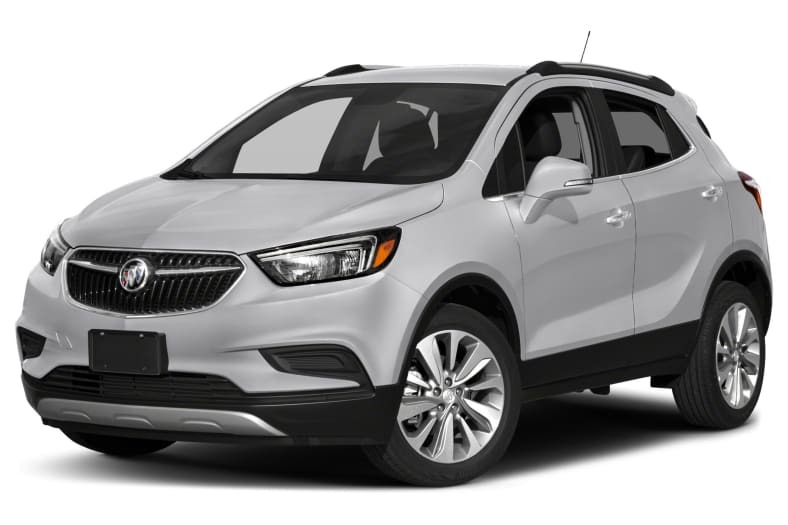 The Buick Encore is a compact crossover SUV that features upscale styling and premium amenities in a versatile package. It is offered in both front- and all-wheel drive configurations. The Encore is available in six trim levels: Encore, Preferred, Preferred II, Sport Touring, Essence, and Premium. Power is supplied by either a 138-hp 1.4-liter ECOTEC turbocharged four-cylinder engine, or a 153-hp 1.4-liter turbocharged four-cylinder with auto stop-start mode; both are mated to a six-speed automatic transmission. Trim-dependent standard equipment includes: 18-inch aluminum wheels, LED headlamps, LED daytime running lights, fog lights, passive entry/start, heated front seats, heated steering wheel, leather upholstery, dual-zone automatic climate control and HD/satellite radio. Every Encore stays connected with a Buick infotainment system, featuring an 8-inch touchscreen display, Bluetooth streaming audio, 4G and Wi-Fi hotspot capability, two USB ports and smartphone integration. Standard safety features include anti-lock disc brakes with brake assist, stability/traction control systems, a rearview camera and OnStar, as well as ten airbags; other available technologies include head-up display, Forward Collision Alert, Rear Cross Traffic Alert, Lane Departure Alert and Side Blind Zone Alert. Following a refresh last year, the Buick Encore carries over with minimal changes for 2018.